What do you do when you feel like new music? If you like popular music, the radio is still a great place to turn to. Services like Twitter #music Discover New Music With Twitter #music for Desktop & iPhone [Web & iOS] Discover New Music With Twitter #music for Desktop & iPhone [Web & iOS] Twitter's new music discovery service for finding bands and artists has been out for nearly two weeks now and that has given us plenty of time to put the aptly named #music through its paces.... Read More , Band of the Day or Exfm are also great ways to find new music on the go. If, however, you’re craving some fresh tunes from artists you’ve never heard of before, and also want to support them without breaking your pocket, you need to check out Earbits, and especially Earbits for Android (iPhone coming soon). Being a fantastic way to discover new music, I’ve already mentioned Earbits in a previous post about great ways to find music you’ve never heard of before 6 Fantastic Ways To Discover Cool Music You've Never Heard Before 6 Fantastic Ways To Discover Cool Music You've Never Heard Before If you’re a music lover, you’re familiar with the constant need to discover new music. You already know lots of good music you like, but the thirst for more is unstoppable. There’s lots of good... Read More . Only a Web app at the time, Earbits has come a long way since then, and now features an Android app, and offers not only a way to discover new music, but to also help you support the artists you find, and expand your own collection of music accordingly. Oh, and did I mention it’s free, completely ad free and available worldwide? What more can you ask for? Note: In the post below, I am checking out Earbits’s Android app, but you can enjoy the same features and more on the Web app as well, with full syncing between mobile and Web interfaces. Discover Music AND Support Artists? Show Me How! You must be wondering how you can support artists without actually paying money, right? Well, you’re more than welcome to buy some albums if you find something you love, but this is not what Earbits is about. Let’s start from the beginning. 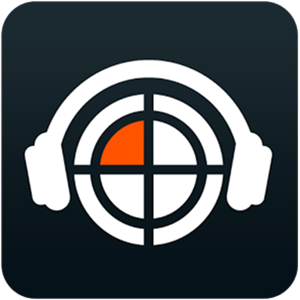 When you first launch Earbits, the app will scan your device for music you already have. It will then analyze this music and use it to provide recommendations for new music. Cool, so far, but nothing you won’t find elsewhere. The interesting part begins once this scan is complete. Once it’s done, you’ll find yourself looking at Earbits’s simple interface which includes four tabs: home, channels, artists, and account. Once you start playing some music, you can return to this main screen by swiping the player to the right. The best way to go from here would be to choose one of the recommended channels in your “home” tab. I went with alternative rock to start with, but later discovered that indie rock and indie pop are much more to my liking, so explore these for a while to find which one is best. Worried about losing yourself in all-new music? Earbits understands you. Your recommended Earbits channels are in fact a mix of music you already have on your device, and new music tailored to your tastes. How much of which? That’s for you to decide! Added new music to your collection? All you have to do is tell Earbits to re-analyze your music to take it into account and get some fresh recommendations. It’s now time to pick a channel, sit back, and listen to your personalized music mix. Hear something you like? A quick slide to the left will reveal the artist’s biography, along with some photographs, so you can get to know them better. So what’s this about supporting the artists? And how can Earbits exist without ads or commercials? Simple: Earbits features up and coming artists, which you can support if you want to, and in return you earn “groovies”. In order to do this, you’re going to have to connect Earbits with your Facebook account, or log in using your Earbits account, and when a great new song comes up on your channel, you can choose how you’d like to support the artist. For signing up to the artist’s newsletter you’ll receive 50 groovies, and for sharing the track with your friends on Facebook you’ll receive 100 groovies. So you’re supporting the artists by spreading the word, and getting these groovies in exchange. If you’re using the Web app, there are many more ways to earn groovies such as following the artist on Twitter, Liking them on Facebook, etc. Many of these features will be integrated into the mobile app soon. So what are these groovies good for? On-demand music! Every time you tap the star button to add a song to your favorites, the whole album is added to your “artists” tab. Want to listen to more from this artist? It now appears alongside the music you actually own, with the track you already favorited clearly marked. But if you want to listen to more, you’ll have to spend 10 groovies per song. Your own music remains completely free, of course. All your favorites are synced between the mobile and Web app, so you can listen for groovies anywhere. You start your Earbits journey with 500 groovies already in your pocket, which mean you can listen to 50 songs without doing anything before you run out. Trust me, though, you’re about to discover music so awesome, you’ll be earning these groovies before you know it. I know, it’s hard to believe, but no matter how hard I looked, I couldn’t find a single way to pay Earbits a dime. There’s no way to buy groovies for money, and no Premium version of the app. You listen to new music for free, collect new albums you like, and listen to them by paying with groovies you earned by supporting the artists you found. It’s a win-win game for users, artists and the app, and a brilliant one at that. No, you won’t find artists like Radiohead or Lady Gaga on Earbits, but you don’t need an app for that. Earbits is all about discovering new artists, and mixing excellent new music with good old tracks you already love. How do you discover new music? Do you know of other ways I should check out? Have some Earbits experiences to share? Let us know in the comments.